I met Trilby Plants on our Facebook Page. We connected and spoke about how important it was to support each other in the writing community. I read up on Trilby and found that she has led a fascinating life. She shares that she was immediately hooked on words when, at the age of four, her mother read her Gulliver’s Travels. 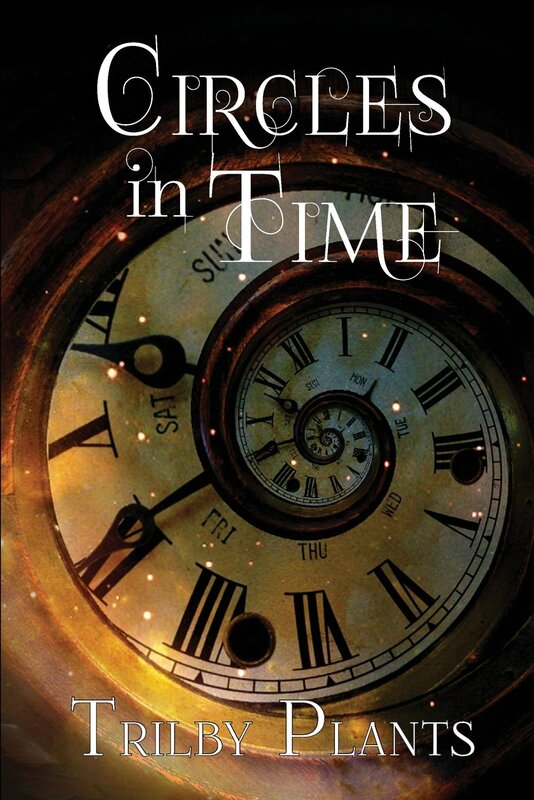 There began her love of all things speculative and fantastical. All her life she’s been telling stories about fairies and creatures – real and imagined – and things that go bump in the night. Trilby is currently editor of The Petigru Review, the yearly literary anthology of the South Carolina Writers’ Workshop. She lives with her sports junkie husband in Murrells Inlet, SC, where she writes, knits and plays golf. Trilby took some time away from golf clubs and knitting needles to sit under our Author’s Spotlight. Among other great information, she shares some great tips for beginning writers. Take a look! When I was in fourth and fifth grade grades, I lived in a tiny town in eastern Montana. My teacher, who was ahead of her time, had us writing and illustrating little books. She sent one of my drawings and a book I wrote to the Montana State Fair. I won blue ribbons on both. I was hooked on stories. Both my parents were avid readers, so books and magazines were plentiful around our house. Then life intervened – growing up, college, marriage, career and children. Along the way I dabbled in poetry, nonfiction, short fiction and the inevitable first novel, which remains in a box under my bed. As a teacher I channeled my love of story-telling by encouraging writing. 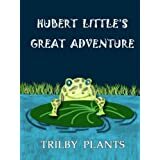 My first children’s book, Hubert Little’s Great Adventure, came from a decades old story I wrote along with my students when I first began my teaching career. I scanned the old illustrations, Photoshopped them into parts, used some digital backgrounds and put the book together. It was purely a labor of love for my then three-year-old granddaughter. Hubert will have more adventures. Now that my granddaughter is reading everything she can get her hands on, the next Hubert story might be a chapter book. My mother read to me and my brother when we were young. The first I remember was Gulliver’s Travels when I was four. I loved Swift’s complex language and the imagined journeys to faraway lands where Gulliver met fantastical beings. By brother, a year younger, only remembers the scene where Gulliver urinates on the town to save it from a fire. I am a voracious reader. I loved Ray Bradbury’s stories. His blend of the ordinary with the fantastic appealed to me, as did his somewhat literary style. I find myself most productive during the day, usually after lunch. I’ve never been much of a morning person, so I use mornings to ponder ideas and afternoons to bring them to life. My desk is in our guest room and looks out at a berm of trees. Squirrels’ entertaining antics force me to look away from the computer every once in a while. Meena Mouse’s Perfect Raspberry was a long time in the making. 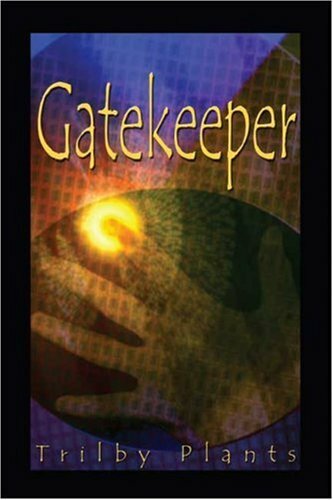 I shopped around an early version of the story to traditional publishers without luck, so I decided to self-publish. Although there are less than a thousand words, I spent the better part of a year revising it. I found an illustrator by accident and asked her if she’d be interested in doing a book. After some negotiations, she agreed to make a sample page. I sent her the manuscript. The page she sent back made me squeak with amazement. Meena danced over a fallen tree. She was real. Then it took six months to tweak the text and the illustrations into a publishable form. I wanted it to be perfect and up to traditional publishing standards. Writing is hard. Revising is hard. Marketing is harder. But it’s a wonderful journey. 1. Never give up. If Kathryn Stockett had not submitted The Help the sixty-first time, the world would have lost a good story. 2. Read the genre you write. 3. Find a critique group. Your local library is a place to begin. If there isn’t one, start one. A good website for ideas on how to organize a writers’ critique group is www.6ftferrets.com. A critique group should strive to be professional. 4. Writing is a business. So approach it as a professional. 5. Colleges’ lifelong learning programs feature a wide variety of classes. Find one and get started. Even if you’re an accomplished writer you may learn something, and you’ll widen your network of other writers. 6. Join professional organizations. After I retired to South Carolina I found the South Carolina Writers’ Workshop. It’s a wide network of writers from beginners to bestselling authors. I can always find someone to turn to for information and help. I am also the president of SCWW. (www.myscww.org) We produce one of the country’s best writers’ conferences in October. I am also a member of SCBWI. 7. Strive to be the best you can be. Today with alternatives to traditional publishing, writers have many options. Self-publishing is easier than ever. We indie authors must aim high and aspire to make our work the best it can be, as good or better than traditionally published books. 8. The same criteria that applies to traditionally published books, applies to self-published material. Except for board books and concept books for toddlers, a story needs a protagonist who solves his/her own problem, a conflict to overcome and a satisfying ending. Children are smart and aware of the world. They recognize poor grammar. 9. I don’t believe authors should talk down to children, nor should we preach. I hope children who listen to my books or read them will be drawn into a different world and come away with a sense of wonder. I play golf, travel and teach adult writing classes through the local university. I’ve learned from my students and have made great friends. I’ve developed a coaching style, and encourage even beginners to explore different forms of writing, such as starting a blogs to gain exposure to the writing world. 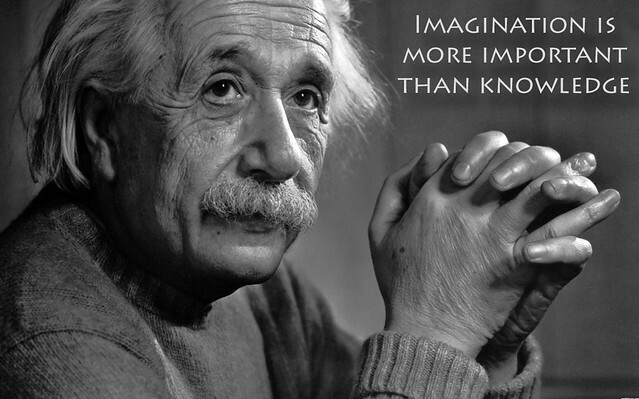 Can you share something that is happening in your life that would surprise us? I’m a knitter. I knit Meena Mouse: a large one for promoting the book, and a small one for my granddaughter. I make video book trailers. I’m self-taught and learn something every time I begin work on a new project. I love how a video – even with still images – can bring a story to life. In the next book, Meena Mouse’s Perfectly Awful Day, Meena goes to school and learns important lessons about sharing. Then will come Meena Mouse’s Monster. She will learn about how acceptance and tolerance. I would love to meet Keith Graves, author and illustrator of Three Nasty Gnarlies. It’s a quirky story about three creatures who live in a dump and learn to appreciate themselves and each other for who they are. I just finished Ken Follett’s The Pillars of the Earth. Now I’m reading The Unfinished Garden by Barbara Claypole-White. From a multi-generational epic to mainstream fiction, I love stories. Besides adult books I read children’s books. Every time I go to the library I sit down and read a few. Some of my favorites are: Where the Wild Things Are, by Maurice Sendak, any Dr. Seuss book, the Goldilicious books and unconventional stories. Where can new fans follow you? Meena Mouse eats the last raspberry without asking and then disobeys the rules. She goes into the dark, dangerous forest alone in search of a berry. Meena gets lost! How will she find her way home in the dark? A story to help children understand responsibility, honesty and following rules. Every child fantasizes about going off on their own. This story is a chance for children to imagine and understand the consequences of their actions. A good read aloud for younger children, and older ones will be able to read it themselves. Words on a Limb would like to thank Trilby Plants for sharing her story. 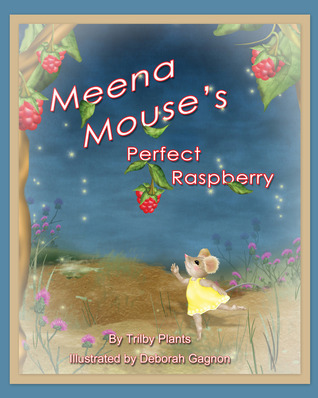 We wish you much success with Meena Mouse’s stories and we encourage our readers to give Meena’s Perfect Raspberry a read. Now back to relaxing with your golf and knitting! This entry was posted in Spotlight on Authors and tagged author, Deborah Gagnon, meena mouse, Spotlight on Authors, Trilby Plants by Lora. Bookmark the permalink.